A blockade in Portland, Oregon, that included environmental protesters dangling from a bridge unsuccessfully attempted to keep a Royal Dutch Shell icebreaker from leaving for oil drilling in the Arctic. It was the latest standoff between protesters and the company over its plans to search for oil at the top of the earth. Royal Dutch Shell PLC and other companies want to tap into U.S. Arctic offshore reserves that the U.S. Geological Survey estimates at 26 billion barrels of recoverable oil and 130 trillion cubic feet of natural gas. Environmentalists contend oil companies have not demonstrated they can clean up a major spill in ocean waters that range from open to frozen to slushy, putting the Arctic’s rich marine life at risk. Critics also say opening a new, vast fossil fuel field will delay a transition to renewable energy. They say that will add to a global warming problem that has hit the Arctic hard by reducing sea ice, a habitat critical to polar bears and walrus. Exploratory wells will be drilled in water 130 to 140 feet deep _ far different from the 5,000-foot water depth of the well in the Gulf of Mexico’s Deepwater Horizon explosion and blowout in April 2010. The company says a blowout is unlikely but its flotilla of about 30 vessels will have everything on hand to respond if needed. Drilling foes say Shell’s performance in 2012, the last time it sailed north, is evidence of what can go wrong. One rig was separated from its tow vessel and ran aground off Kodiak. The other was fined $12.1 million for breaking maritime law. WHAT WAS BEING REPAIRED IN PORTLAND? The Fennica is a Finnish icebreaker. Its hull received a gash roughly 3 feet long and a half-inch wide July 3 as it departed Dutch Harbor, Alaska. Shell considered a temporary fix in Alaska but decided to make a permanent fix at Portland’s Vigor shipyard. The vessel’s primary purpose is to carry a capping stack, a roughly 30-foot piece of gear that in a blowout can form metal-to-metal contact on a wellhead. The capping stack is designed to shut off oil like a giant spigot or connect to hoses to direct oil to vessels on the surface. It would be maneuvered into place by an A-frame winch on the Fennica and underwater remote-operated vehicles. HAS THE PORTLAND PROTEST HELD UP DRILLING? Shell’s federal permit allows it to begin drilling as long as the company does not dig into the petroleum-bearing zone about 8,000 feet under the ocean bottom. 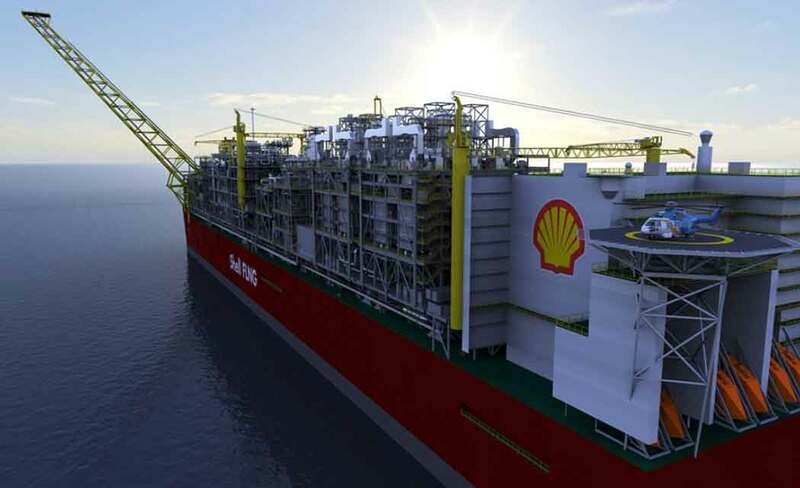 That means Shell can immediately begin “top-hole” work, which includes excavating a 20-by-40-foot “mud-line cellar” that allows a blowout preventer to sit beneath the sea floor. It also includes installing steel casing and cement down to 1,300 feet, setting a foundation for the well to be drilled to total depth later. The top-hole work takes time, and Shell has said the Fennica and its safety equipment might not be needed until the third week of August.